The natural world doesn’t care what humans think. But it responds forcefully to what we actually do. Climate change was no threat for the first million years of human existence, not because we paid more attention then to the atmosphere’s carbon level, but because we hadn’t discovered fossil fuels and their energy potential. We hadn’t started burning them. Conversely, as the Stanford surveys show, people can have positive environmental attitudes, and even strong worries, without changing their own behaviors. The U.S. EPA has 87,050 Facebook “likes,” and “Environmental Working Group” has 249,252 likes. “Ecology” has 183,751. (Are those a lot? Colts: 1,700,000 likes. The Beatles: 37 million.) Who knows how clicking “like” corresponds to other behaviors? I’m guessing it corresponds mostly to the likelihood of “liking” other Facebook sites. I’m reading a new book called Navigating Environmental Attitudes, by Thomas A. Heberlein, an environmental sociologist retired from the University of Wisconsin at Madison. 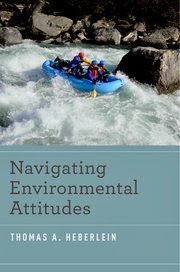 He uses the metaphor of whitewater rafting (pictured on the cover) to describe such problems as the obstacles under the surface, the ones you can’t see, that affect the swirling waters the most; the slow changes that happen to rocks in the river over the course of eons; the need to “go with the flow” of attitudes, and so on. 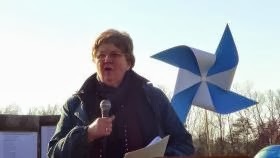 Hooray for central Kentucky nuns! This past Tuesday, the 45th anniversary of Thomas Merton's death, the Dominican Sisters and Associates of Peace, the Loretto Community, and the Sisters of Charity of Nazareth and Associates hosted an interfaith prayer ritual to publicize the Energy Vision statement written in response to the proposed construction of a natural gas pipeline across central Kentucky (see my Nov 11 entry). More than sixty people from many religious traditions attended, and Wendell Berry was there in message and spirit. Here is the story from WFPL public radio in Louisville. It's encouraging that churches and communities even in Mitch McConnell's state raise their voices so often. And on a related note, WFPL's Erica Peterson reported this week on the future of coal mining, and coal miners, in eastern Kentucky ("Hollowed Mountains, Now Hollowed Towns: Coal in Eastern Kentucky"). Though the coal situation is bleak, the story ends with a hopeful twist. Perhaps one day there will be a story about HALLOWED mountains and towns. For both the powerful centers of the natural world and the powerful human centers to be held holy--set apart from profane use--would certainly be biblical. Prof. Brad Wigger's interview of her in the latest Louisville Seminary Mosaic. It begins on page 10. Needless to say--but I'll say it anyway--I am endlessly impressed with her and with all six of our children, who as teachers, social workers, and volunteers contribute tremendously, each in their own way, to human welfare on the planet. Here is a link to a guest blog just posted at the site Political Theology Today. shaft. It’s an enforced Sabbath. No lamps are lit today—the sunlight, unobstructed by foliage, refracts from the snow into every window. Bread is rising over the woodstove. I’m thinking of mixing pesto from last summer’s basil and garlic. Tomorrow, unless it snows again too hard, I’ll host a small group of Presbyterians to thank them for reading each chapter of my then-unnamed book in first draft. Every month or two (or six), I would feed them dinner. Then I’d listen and take notes as they discussed what they had read, which never precisely matched what I thought I’d written, but came close. 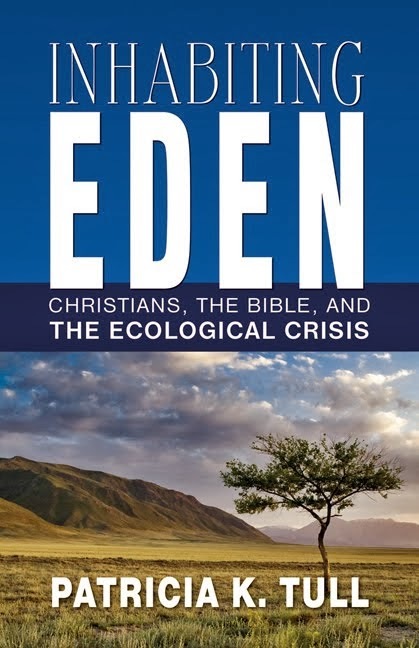 As beginners in both Bible and ecology, some hesitated at first to speak, and I’m sure no one said all that they thought. They told me what they liked, what they questioned, what they objected to. They saved me from many bad arguments and inelegant paragraphs. Though I alone edited, I hoped all would see their handprints on each revision.